Episode 5 - After Paul tipped-up the 1-2 at the BMW PGA Championship, the golf action moves onto Muirfield Village GC in Ohio, more commonly known as "Jack's Place." 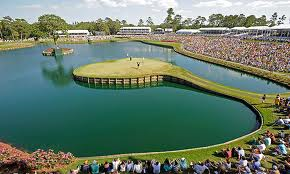 The Memorial Tournament is an ode to Jack Nicklaus and as ever 2017 sees a quality field which contains Dustin Johnson, Jordan Spieth, Jason Day, Jon Rahm, Adam Scott, Rickie Fowler, amongst plenty of other big names. Steve Bamford and resident guest Barry O'Hanrahan from a A Good Talk Spoiled golf podcast, talk Muirfield and the Memorial Tournament. Includes key trends, stats and players to follow.